This romantic masterpiece by Giacomo Puccini is both one of the world's great love stories and one of the most beloved operas of all time.Set among the bustle of 19th century Paris, six impoverished bohemians and young artists struggle to make ends meet while falling in and out love—ultimately bonding together in the face of tragedy. The timelessness of La Bohème resonates just as deeply with contemporary audiences as it did at its premiere in 1896. 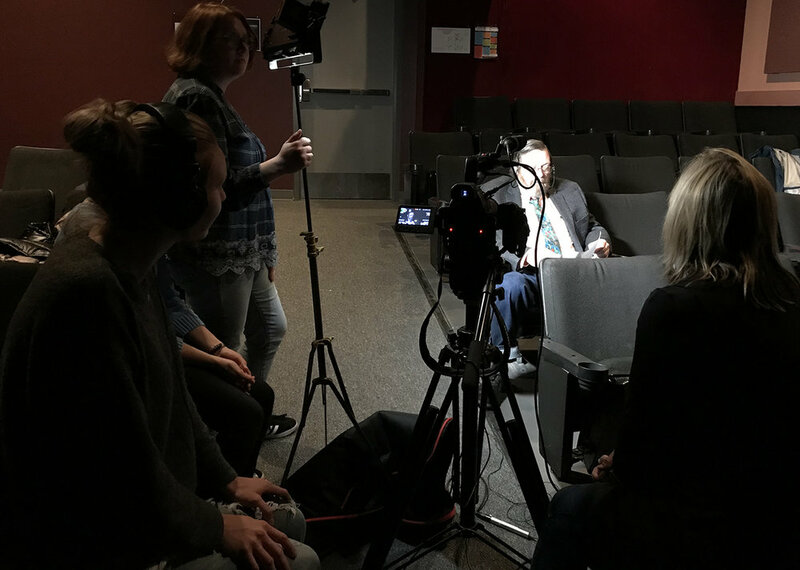 Experience La Bohème is a collaborative endeavor with Opera Colorado, Hypercube and the University of Colorado Denver, including students and faculty from the Digital Design and Music Entertainment and Industry Studies programs. The main goal of this immersive experience is to create an engaging and interactive VR experience that can excite younger audiences and expose them to the beauty and history of opera. The technology used to create this experience includes traditional filming, Augmented Reality (AR) using Aurasma, and 360 VR Capturing Devices including the Nokia Ozo powered by Hypercube, Unity, Vive interface, and Oculus Rift. 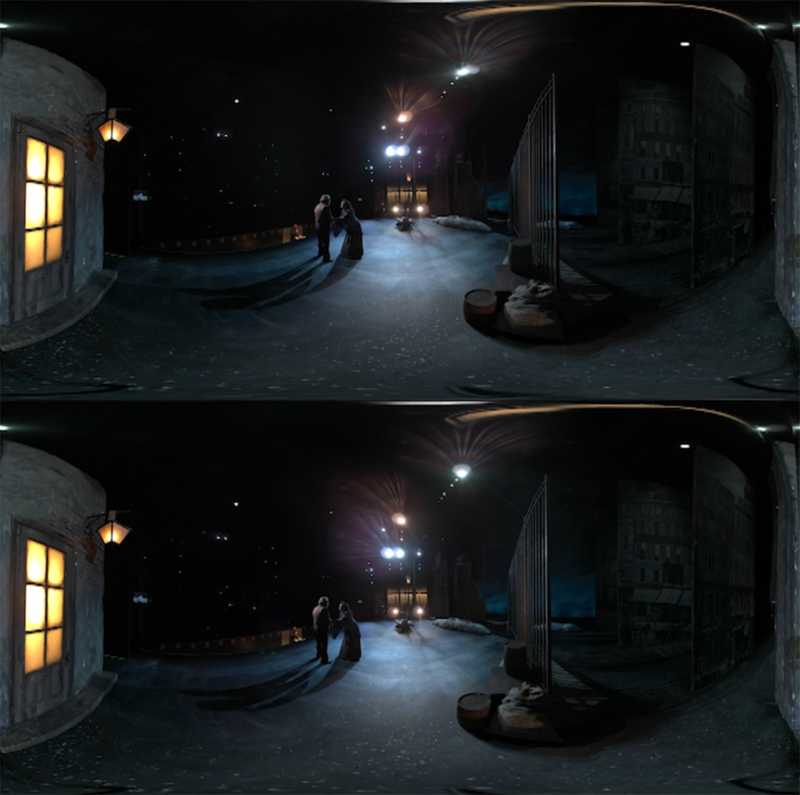 Through the use of virtual reality and video narratives, Experience La Bohème displays many aspects of creating a professional opera production. 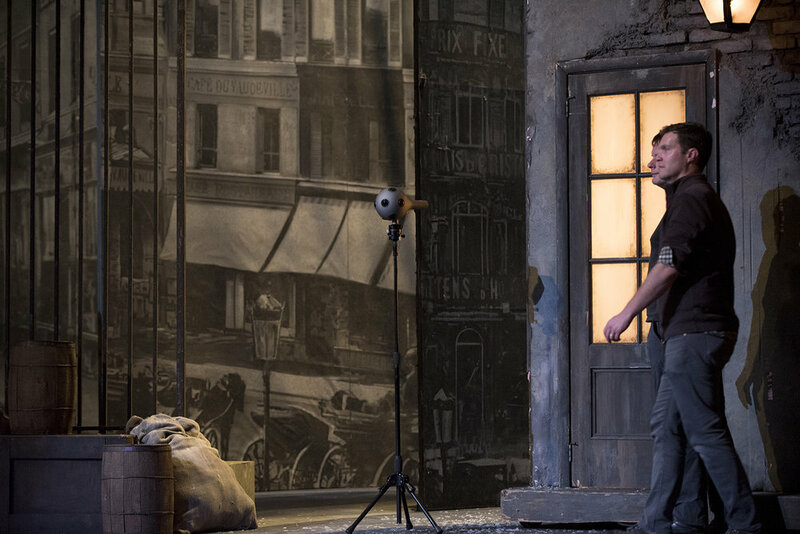 The video narratives included in Experience La Bohème are interviews with the main characters, director and conductor, and an overview of the history of La Bohème and the set design, costumes, wigs and makeup. Virtual reality is a computer-generated fully immersive 3D environment. To enter this imaginary or constructed 3D environment the viewer must wear a virtual reality headset. This headset allows the viewer to experience and interact within the manufactured alternate worlds. In 1901 the author of The Wizard of Oz, L. Frank Baum, mentions the idea of electronic spectacles that can overlay images and information onto "real" life, augmenting reality. Augmented reality is defined as a live, direct or indirect view of the world that is augmented or enhanced by computer generated sounds, video, animations or graphics. The augmentation is in real time and the artificial information is superimposed onto the real word. Ambisonic Sound is a way of recording 360◦ full-sphere surround sound to give the viewer a fully immersive sound experience. 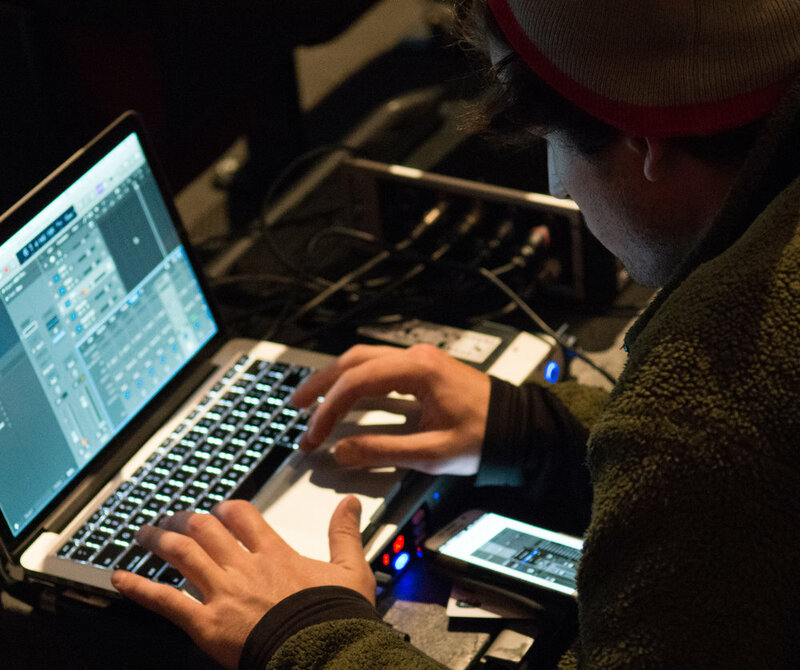 Through an interdisciplinary approach that combines the arts, communication, and recording arts, the College of Arts & Media's Digital Design, Music Entertainment and Industry Studies programs strive to produce artists, designers, musicians and recording engineerswho use technology in innovative ways. Michelle Bauer Carpenter is an Associate Professor of Digital Design in the College of Arts & Media at the University of Colorado Denver. Carpenter has produced, directed and edited award winning experimental and documentary films. Her films have screened in numerous international and national film festivals, art galleries and on broadcast television. Her 2016 film Klocked: Women with Horsepower was recently won a Heartland Emmy Award for excellence in Journalist Enterprise and was nominated for two other Heartland Emmy Awards in the category of editing and motion graphics. Klocked: Women with Horsepower has also won three national and one international awards including an Award of Excellence Feature Documentary from the Hollywood International Independent Documentary Awards and it was featured for Women’s History Month on KCET, Los Angeles and KQED San Francisco, California. Carpenter's 2012 film about the catastrophic Fourmile fire titled Above the Ashes was awarded two prestigious Heartland Chapter Emmy Awards in the categories of best topical documentary and best program editing. The Heartland Chapter is a chapter in the National Academy of Television Arts & Sciences (NATAS) and the Emmy Award represents the best in the television industry. Travis Vermilye works from his Denver Colorado studio on various types of medical and biological illustration and animation projects. He holds a Master of Fine Arts in Medical and Biological Illustration from the University of Michigan and is experienced in multiple areas ranging from 2D traditional illustration to 3D animation and graphics to physical modeling and sculpture. He has been involved in the creation of anatomical models, illustrations and animations derived from medical image data for the surgical planning of more than 20 cases of conjoined twins. His work has been shown on the Oprah Winfrey Show, Dateline NBC and Discovery Health as well as international magazines, e-zines and publications. He is a Professional Member of The The Association of Medical Illustrators and the Guild of Natural Science Illustrators. He is also involved with local museums such as The Denver Museum of Nature and Science via donated work and illustration. Travis is Assistant Professor in the Department of Visual Art, College of Arts and Media, University of Colorado Denver where he instructs students on the art of creating scientific and medical imagery. Information about human health is widely available; however, the way in which that information is consumed does not necessarily inspire deep thought or self–reflection. Through the combination of illustrative techniques, information visualization, and application of design process, I communicate health information through visual means in an effort to provoke thought and encourage self–reflection regarding our health and health choices while portraying the beauty of the human body. My experience as a medical illustrator provides a somewhat unique perspective on health issues and medical treatment. Throughout my career, I have been fortunate to witness multiple surgical procedures and gain first-hand knowledge of the personal connections people have to their health and body image. Such experiences provide valuable insights that inform my creative process and artistic direction. Leslie was born in Dayton, Ohio. She began playing classical piano as a small child and studied privately with Mrs. Phyllis Katz for many years. Many of her young years were spent in a Montessori setting. At Chaminade-Julienne High School, Leslie took several honors classes and played in Jazz Lab Band (piano and keys), Chorus (Piano Accompanist), Marching Band (Snare, Marimba), Symphonic Band (Percussion) and String Ensemble (Double Bass). Leslie enrolled in Indiana University in 1987 to pursue an A.S. degree in Audio Technology and a B.A degree in Telecommunications. She recorded many operas at IU, including “Tales of Hoffman” and “The Barber of Seville”, and assisted Dr. David Pickett on Claude Baker's “Omaggie e Fantasie” work for double bass. Shortly after graduating in 1991, Leslie was hired at NPR as a Broadcast / Recording Technician. She worked on many shows, such as “Morning Edition”, “All Things Considered”, “Talk of the Nation” and “Performance Today”. In 1995 Leslie moved to Denver to work for Colorado Public Radio, putting together hundreds of weekly features during her 7-year career there. In 2002, along with Kelley Griffin and Dan Drayer, she earned the 2002 Radio and Television Digital News Association’s Edward R. Murrow Award for Large Market Documentary. She earned her MSRA degree in 2003 with a thesis titled, “Music Video Verite” which is a pioneering work in editing music with video and cutting them together for a seamless performance (a music video with no lip syncing but with cuts between locations). Shortly afterwards, she accepted a tenure-track position at CU Denver and is now Associate Professor of Recording Arts. Her research and creative work focuses on multichannel audio and perception of quality. She has worked with Dolby Laboratories as a principal investigator and collaborated with Fraunhofer labs in Germany and Trinnov audio in France. In 2011, she earned a Fulbright Award to teach and perform research at the University of York in England. She has been a recording engineer on several news features, music recordings, television series, radio and television commercials as well as feature and documentary films. Design, Systems Integration, Consulting & Production services of high-end systems in cinematic & theatrical production venues, location-based entertainment & virtual environment simulation+replication with Interim management functions to help expand and realize large project goals across many markets and interconnected revenue streams. Runs projects spanning several simultaneous modalities, across creative, technical, managerial teams. Outstanding Novel Technological Innovations: 1996: demonstrated first 360°VR [6K] fully immersive composite true video. 1999: Created Virtual Cinematography method for synchronizing real-time pre-visualization with high-quality post-processed rendering. 2003: Original Globally-Synchronized Metadata Scheme for Episodic-TV and Motion-Picture Production, 2003: Designed and implemented the World's first shared storage process for simultaneous scripting, shooting, editing and finishing in machine, human & legacy readable metadata. 2009: Created the High Dynamic Range (HDR) X-Ray imaging process, 2012: Created zero-depth emulsion printing & display process for fine art and display 2016: Created the first Globally-Synchronized capture & Metadata Scheme for 360°VR&XR synchronizing real-time pre-visualization with high-quality post-processed rendering for single and multi-camera/capture live & post scenarios. 2017: Created first VR/AR/XR delivery platform universal browser and social media IN-BRAND deployment. Awards and Accolades participated in: Best International Children's Programme (British Academy of Film and Television Arts, LazyTown), Meme of the Year  (Reddit, LazyTown), World Technology Award nomination for invention of High Dynamic Range X-Ray imaging process.